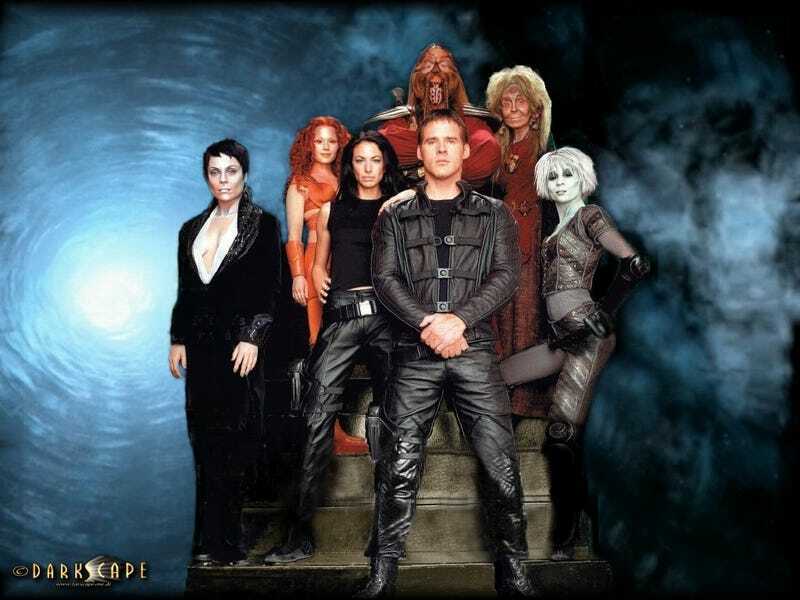 Farscape's Rockne S. O'Bannon making a cult TV show about a cult TV show? Farscape creator Rockne S. O'Bannon is having a bit of a long-awaited resurgence. Syfy has picked up his post-apocalyptic frontier drama Defiance, starring Grant Bowler. And The CW has revived his 2005 pilot Cult, which was originally going to be a show on predecessor network The WB before it was killed in the WB/UPN merger. The fictional show Cult is about an actual cult, whose leader, Archie Sweet, is "a cross between Charles Manson and Hannibal Lecter," whose agenda remains opaque. And the fictional show's creator is a recluse, whom nobody sees, even on the show's staff. The show's own writers don't know what's going to happen next, until they receive the next batch of pages from the creator, Steven Rae. Oh, and there's a mysterious Observer-esque figure, a bald man in a suit, who appears in the background of one scene — and the pilot script says he'll appear in the background of every scene, until he becomes a major character in episode nine.